delightful stretch of white sand at Khaolak. graphic reminder of the power of the tsunami. huge golden Buddha at Baan Nam Kem Tsunami Memorial Park. 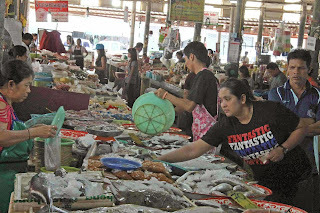 MARKETS are always a highlight of a visit to Asia. Beachfront Resort offers an expansive pool area. 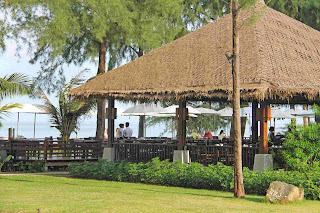 Sensimar Khaolak Beachfront Resort's beachside restaurant. 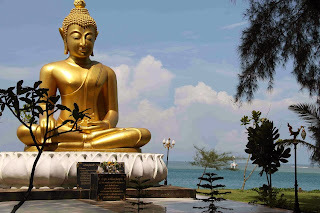 AS part of her job as Leader of Guest Service at Thailand's Sensimar Khaolak Beachfront Resort, Sirawadee 'Ann' Sareethongchai regularly takes guests on tours to two nearby monuments commemorating those killed in the country's horrendous 2004 Boxing Day tsunami. It's a day she has particularly vivid memories of: Children running into the lobby of the resort she was working in at the time and asking "where has the ocean gone?" The-then towering wall of water about to engulf everything; taking refuge in the kitchen; watching terrified as the water started to break through the brick wall. And finally clinging desperately in those rushing waters to a mangrove tree that eventually saved her life. Khaolak, a 20-kilometre-long strip of towns, resorts, beautiful beaches and national parks along Thailand's Andaman coast, 65km or so north of Phuket, was one of the worst-hit areas. The official death toll is just over 4000, but locals estimate 10,000 could have perished. Perhaps the most graphic reminder of the power of the tsunami is provided by Police Boat 813, an ocean-going patrol vessel that was washed over a kilometre inland from Bang Niang Beach, where it had been trying to protect a jet-skiing member of the Thai royal family who drowned in the tsunami. PB813 is today the centre of a memorial being developed to the tsunami victims all that way inland, and well worth a visit. 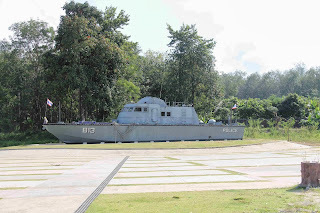 More sombre and established is the Baan Nam Kem Tsunami Memorial Park in a particularly hard-hit fishing port a little further north. Its centrepiece comprises an alley created by two walls — one a towering concrete wave, the other tiled and containing names, and sometimes pictures, of hundreds who perished. There's also a beautiful park and huge golden Buddha statue. 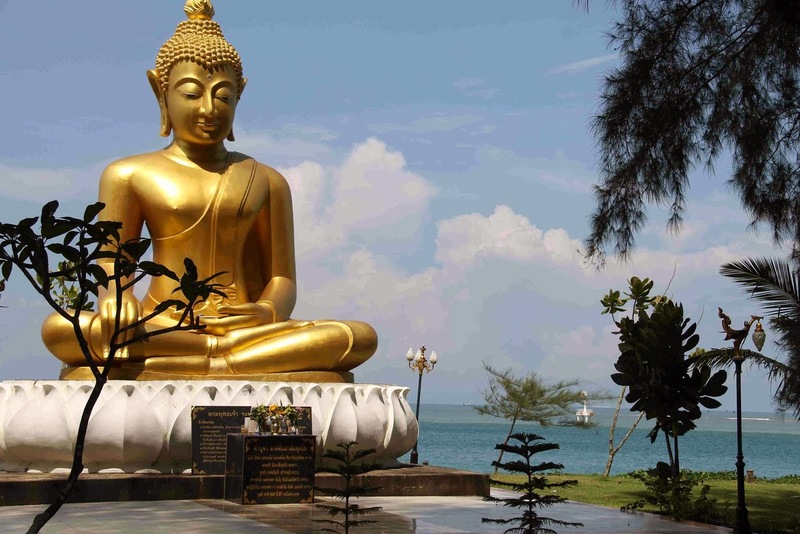 And almost 10 years on, Khaolak has recovered much of its laid-back charm and become a thriving attraction for international visitors, especially from northern Europe, who chase sun, sea and a good dose of local culture without the hustle and bustle of Phuket. Much of the holiday activity is ocean-based — pristine white-sand beaches, bright blue water, and easy access to world-class diving and snorkelling sites in the Similan and Surin Islands. There are other attractions, too, including Takuapa Old Town that's the area's main administrative centre and which features plenty of Sino-Portuguese architecture. But it's a sleepy old burg best visited early in the morning or on Sundays, when the local markets are in full swing. 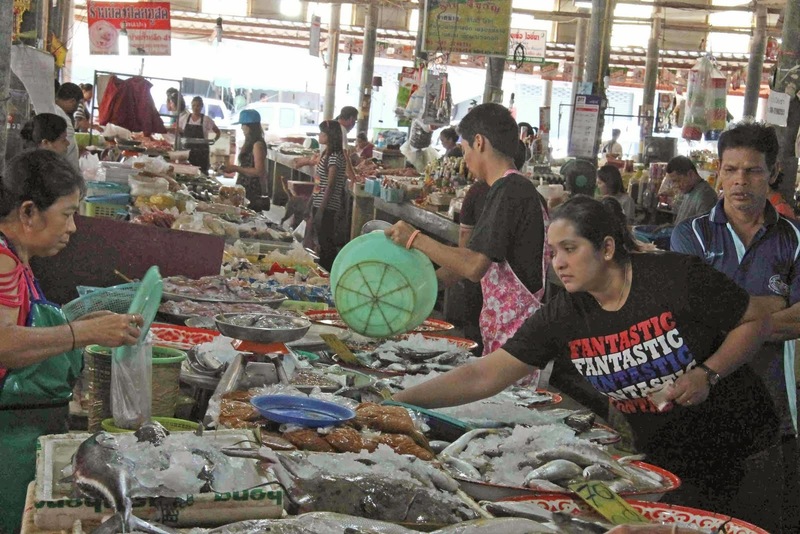 Other markets, such as those at Bang Niang, provide a diverse range of colourful and intriguing local produce — the freshest of seafood and vegetables, a fascinating array of 'butcheries,' and lots of unusual cooked delicacies. Khaosok National Park features the world's oldest evergreen rainforest, limestone karsts (rain-eroded cliffs and peaks à la Halong Bay) and magnificent lakes and caves. Khaolak Lam Ru National Park has both terrestrial and marine components, and a range of wildlife you may, or may not, wish to encounter — flying lemurs, Asian bearcats, macaques, black giant squirrels, Malayan pit vipers, reticulated pythons and southern big-headed frogs. And there's reasonable shopping in the many stores strung along main roads in the townships. As in most of Thailand, there is great value to be had. Resort restaurants will obviously cost a bit more, but you can find good quality lunch or dinner offerings in street-side cafés for no more than 120-150 bhat ($4-5). Then add $3, or sometimes less, for small bottles of icy cold Singha or Heineken beer; wine can be sometimes problematic, both in price and quality. Accommodation is plentiful, diverse and certainly cheap by Australian standards. The quite luxurious four-star Sensimar Khaolak Beachfront Resort has low-season rates from about $130 per night for a double room, about twice that for a beachfront bungalow. That includes breakfast and access to a range of resort activities such as zumba, yoga, dance classes, etc. 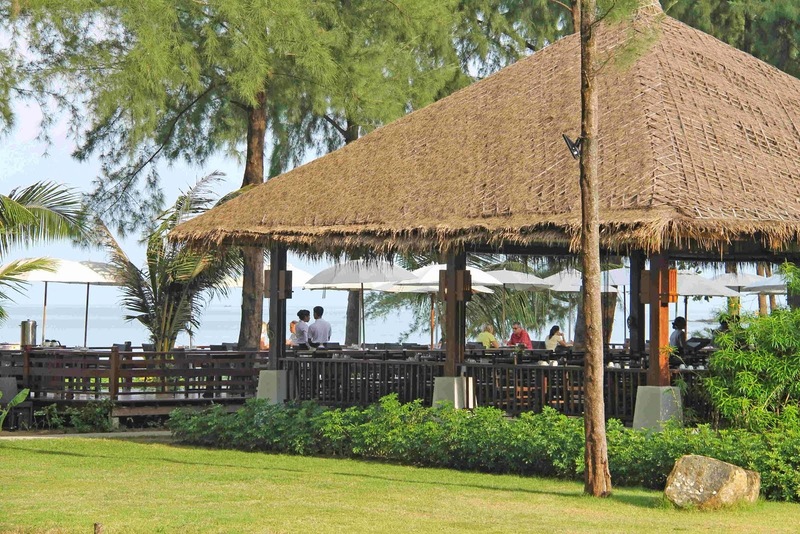 It has a beachfront restaurant, expansive swimming pools and pool bar with sunken seating. 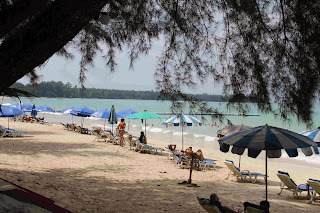 GETTING THERE: The nearest airport to Khaolak is Phuket, about 65-85 kilometres away, depending on the resort you're staying at. Thai Airways has flights from Australia to Bangkok and connections to Phuket. 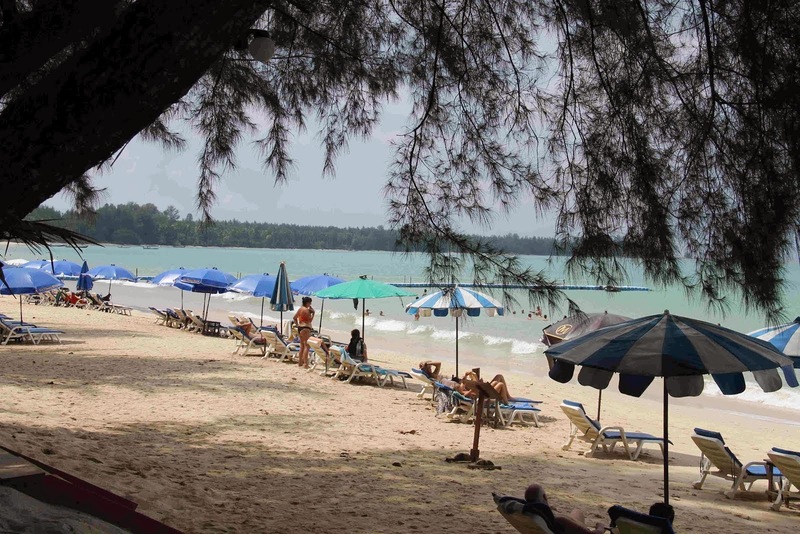 Some Khaolak resorts will provide transport to and from Phuket, otherwise a cab will charge $50-60. 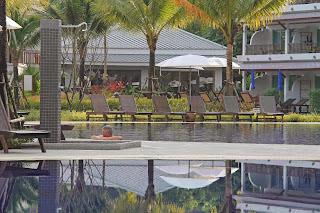 ACCOMMODATION: Sensimar Khaolak Beachfront Resort (www.khaolak-beachfront.com). Struth! Show me the way to San Jose - please!